Father’s Day is for celebrating how much we love our dads. 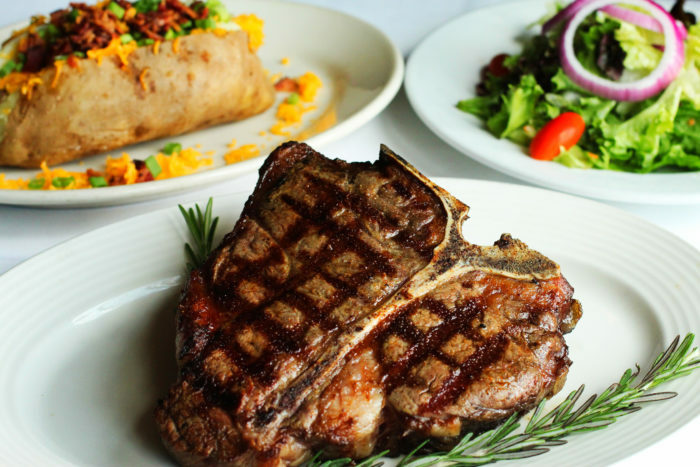 Even though dads are infamous for their grilling skills, this Father’s Day give dad a break & take him out to relax in style while enjoying some of the best beef in the world at Oklahoma City’s best steakhouse. This year we are celebrating Father’s Day with a special Porterhouse offer! Enjoy a 32oz dry aged Prime Porterhouse with a Baked Potato & House Salad for only $49.99! That’s a $130 value!! Every dad will also leave with a special gift from us, a tin of our Signature Steak Rub, to take home. Mickey Mantle’s Steakhouse will be open for dinner beginning at 4:30 in the lounge and 5:00 in the dining room. Reservations are always recommended so place yours today by calling 405-272-0777 or visit www.MickeyMantleSteakhouse.com to reserve your table online.